You may have read that Amazon is no longer accepting MOBI files created by third-party software like Calibre. In which case, you might have panicked and wondered if their pronouncement affected Scrivener. I’m happy to report that it does not. 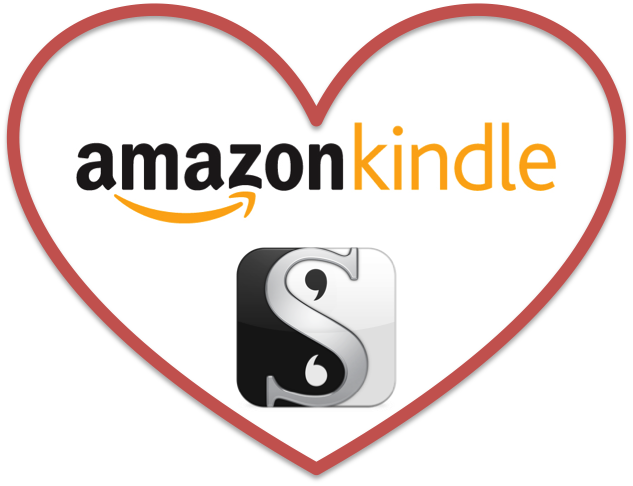 Scrivener uses Amazon’s KindleGen software to create MOBI files, which is the same software Amazon puts your files through on their own site. That means you can continue to use Scrivener to format MOBI files for upload. And just to be sure, I checked with the awesome folks at Literature & Latte, and they confirmed that MOBIs created in Scrivener still work. Such good news-!! I used Scrivener to upload my current (debut) ebook, HOMECOMING, with great results…so good to know I can continue to use it…can’t think of anything I’d use instead! The formatting on HOMECOMING looked good, Janet. Hi Gwen – nothing about Scrivener or Amazon. Just thought I would stop by and wish you a happy thanksgiving! Thank you, Dave, it was nice. I hope you enjoyed your Thanksgiving too! Also, please tell your readers to NOT compile a Word (doc) file in Scrivener to upload to Amazon. Amazon will accept the file and convert it, but it will not act properly across the devices. (it locks the format and won’t allow the user to adjust font styles or sizes) Scrivener does make beautiful ebooks and makes the process relatively painless. But NO Word compiles. MOBI only. Good to know, Jaye. Thanks for sharing! Does this mean I cannot copy something I wrote in MS Word and paste it into Scrivener and then compile for Kindle so it works across all devices? Does one have to retype a MS Word doc into Scrivener for it to read properly across all devices? ptsdspirituality: No, you can definitely copy from Word into Scrivener (or import into Scrivener) and then compile for Kindle. Jaye just meant that she’s had issues when compiling a Scrivener manuscript to DOC format and then uploading to Kindle to let them make a MOBI out of it. Make sense? On my quest to be a writer and I have found out about Scrivener but as many say it feels a little strange to not have one page to look at, e.x A4 Letter. I know all about the full screen mode and I have read plenty about this program but no matter where I look a cant find out about this thing so please tell me that its possible to set it up ala bland page A4 mode with page numbers and such? Best Regards from an new writer! Mike: There is a page view mode in Scrivener for Mac (View–>Page View–>Show Page View). The page numbers are displayed in the footer of the Editor pane, not in the “paper” itself. And it only shows the pages/word count for whatever document(s) is selected, so to see what page you’re on within the entire Manuscript, you’d need to select the Manuscript/Draft folder and view in Scrivenings (Document) mode (as opposed to the Corkboard or Outliner). You can set up which paper size it uses under File–>Page Settings. Just remember that the page count may not match your final output because your compile settings might be different from how things are set up in the Editor. I hope that helps. Good luck with your writing! I have a quick question. I just started using Scrivener (I have a MAC). When I type in the editor (for lack of a better word), my apostrophes and quotation marks look different than when I type in full screen mode. I have made sure that the font in both locations are Times New Roman 12 pt. Any suggestions for me? Thank you so much! Tammy Jo: I can’t recreate your issue. If you contact me through my Contact page, we can talk about sharing screen shots. It might help to make sure we’re using the same terminology. (Editor is the right word, BTW. 😉 ) Thanks! m: If you can export the Kindle notes, you could probably import them into Scrivener as a document, or you could create a reference to the document. There’s no way to refer to a portion of a document. You might want to use something like annotations/comments/footnotes to keep track of the individual section of a book to which you want to refer.